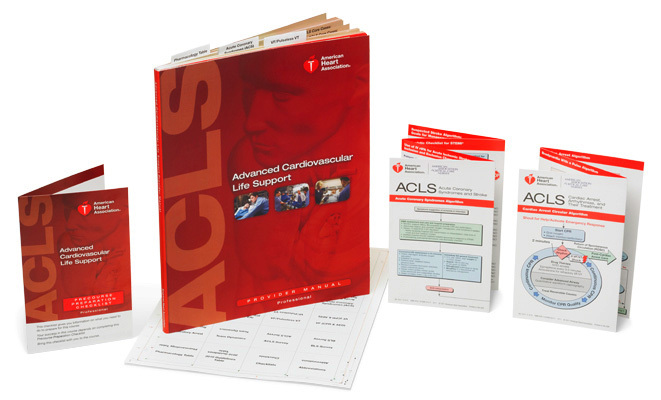 Yes indeed, we’ve been waiting for the release of the new Canadian Edition of the “Advanced Cardiovascular Life Support Provider Manual” since last Summer, and after multiple delays, they finally started rolling off the presses a few days ago, and we received our first copies this afternoon. Like the previous edition, the new ACLS manual’s text pages are accompanied by a few helpful extras – in this case, the ACLS Precourse Preparation Checklist Card, the 2-card Advanced Cardiovascular Life Support Pocket Reference Card Set, and a set of adhesive page tabs to allow you to mark the sections most relevant to your specific needs. We received 150 copies in this first shipment, and now that it’s officially in print, shouldn’t have any further trouble keeping the title in stock. If you’d like a copy but can’t get into the store, you can order it through this link, or give us a call and we’ll get your information over the phone.